Poet Vasant Dattatray Gurjar, who is facing obscenity charges in a trial in a Latur court over his poem “Gandhi Mala Bhetla”(Gandhi met me), has dismissed any possibility of his tendering an apology. The nearly thousand-word poem, last published in a banking industry magazine in 1994, revolves around the poet’s imaginary encounters with the Mahatma at temples, churches, mosques, at an Osho ashram, at the Kremlin and even Mumbai‘s red light area among others. Talking exclusively to Mumbai Mirror, Gurjar expressed surprise that the poem he wrote in 1983, and which is a reflection on how Gandhian values have been trampled upon, is causing so much trouble now. Poet Vasant Dattatray Gurjar, who is facing obscenity charges in a trial in a Latur court over his poem “Gandhi Mala Bhetla” (Gandhi met me), has dismissed any possibility of his tendering an apology. The nearly thousand-word poem, last published in a banking industry magazine in 1994, revolves around the poet’s imaginary encounters with the Mahatma at temples, churches, mosques, at an Osho ashram, at the Kremlin and even Mumbai’s red light area among others. The Supreme Court on Thursday refused to quash the trial against Gurjar and said that the freedom of expression is not absolute and the use obscene language while referring to national icons unacceptable. The case will now be heard in a Latur trial court. Gurjar, 72, said that he never got an opportunity to explain to the petitioners – the Patit Pavan Sanghtana – who filed the case against him in 1994, the meaning he had wished to convey through the poem. “My poem is not at all about Mahatma Gandhiji, it is about our society and what we have done to Gandhiji’s values. It is, in fact, an unending poem, because we have not stopped destroying the Mahatma’s values,” said Gurjar. Gurjar said he does not understand the fuss around the poem because it was read at the Akhil Bharatiya Marathi Sahitya Samelan in 1986 in the presence of some of the state’s best known poets and authors. In fact, in 2011 the State Performance Scrutiny Board recommended to the then home minister late RR Patil that the case against Gurjar be withdrawn, but the petitioners raised objections and the trial dragged on. Gurjar retired as a clerk at the Bombay Port Trust in 2001. A student of Girgaon’s Shirolkar School, he studied arts at Ruparel College for a year before moving to Siddhartha College, where he said he was in the company of 110 poets. The Little Magazine movement and poets like Arun Kolatkar influenced Gurjar’s writing. He has three collections of poems – Aranya, Godi, and Samudra – to his credit. His next collec tion of poems, Pasara, will be published in the next few months. Asked if the trial against him raises questions about freedom of expression, Gurjar said a reader must place the poem in the right context. “Understand the period when I wrote this poem. Emergency was declared, Jayprakash Narayan led a mass movement, the Janata government failed to deliver. All this and a whole lot more finds reflection in my poem,” he said. The poem was originally published by Ashok Shahane’s Praas Publication.It was reprinted in the banking industry magazine in Latur and that’s where the Patit Pavan Sanghtana picked it up. Shahane said the biggest problem is that the trial is taking place in Latur and an ageing Gurjar will have to travel the distance every time he is summoned by the court. “When the poem was published, the magazine did not seek my permission or that of Gurjar.The magazine’s publisher and editor have now apologised and they have been discharged from the case. Why then should the trial now take place in Latur? Why can’t the case be heard in Mumbai?” he asked. Shahane also said that this is by no means the end of “Gandhi Mala Bhetla”. He claimed that he got a call from author Bhalachandra Nemade a few days ago informing that the Sahitya Akadami is publishing an anthology of Marathi poems and Gurjar’s “Gandhi Mala Bhetla” is one of them. Holding that freedom of speech and expression cannot be “absolute” under the Indian Constitution and obscene words cannot be used for a historical person like Mahatma Gandhi, the Supreme Court said Marathi poet Vasant Dattatray Gurjar, who had written a political satire on the father of nation, will face trial for using obscene words. The court, however, quashed the charges against the publisher and editor of a bank’s in-house magazine, Devidas Ramachandra Tuljapurkar, who had approached the apex court against Bombay high court’s order dismissing his plea to quash the charges, after he tendered unconditional apology to the court. The Marathi poem ‘Gandhi Mala Bhetla’ (I met Gandhi) was written in 1984 but Tuljapurkar had published it in the bank’s magazine in 1994. “Freedom of speech and expression as enshrined under Article 19(1)(a) of the Constitution is not absolute in view of Article 19(2) of the Constitution. We reiterate the said right is a right of great value and transcends and with the passage of time and growth of culture, it has to pave the path of ascendancy, but it cannot be put in the compartment of absoluteness. There is constitutional limitation attached to it,” a bench headed by justice Dipak Misra said. 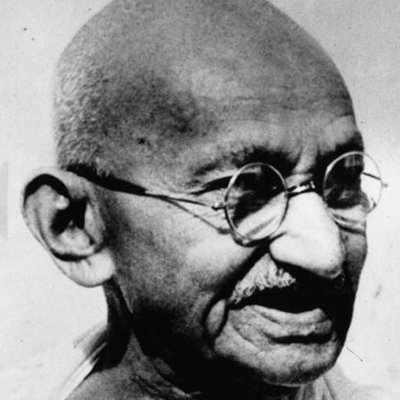 “When the name of Mahatma Gandhi is alluded or used as a symbol, speaking or using obscene words, the concept of “degree” comes in. To elaborate, the “contemporary community standards test” becomes applicable with more vigour, in a greater degree and in an accentuated manner….,” the court also said. “Mahatma Gandhi is used as a symbol or allusion or surrealistic voice to put words or to show him doing such acts which are obscene. While so concluding, we leave it to the poet (Gurjar) to put his defense at the trial explaining the manner he has used the words and in what context. We only opine that view of the High Court pertaining to the framing of charge under Section 292 IPC cannot be flawed,” the court added. The court’s order followed on a petition filed by Tuljapurkar seeking quashing of the case against him lodged by Patit Pawan Sanghtan for publishing Gurjar’s “vulgar and obscene” poem in 1994 under section 292 of IPC. He was the editor of bank’s in-house magazine ‘Bulletin’ in which the poem was published. Where can I find a copy of poem in hindi/english. If anybody can share a link it will be great.